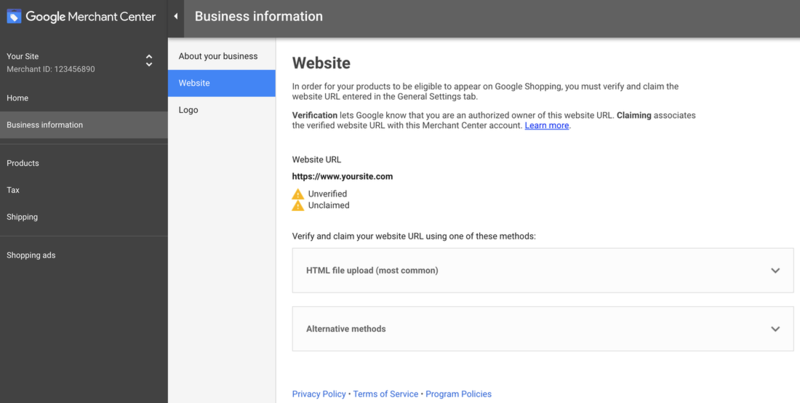 This article explains Google Site Verification and how to verify and claim your domain in the Google Merchant Center. Google will not allow you to start advertising using Google Shopping until you verify and claim your webstore's URL. Log into your Google Merchant Center account. Follow the instructions (HTML or Alternate method). You will also want to complete the About your business section.